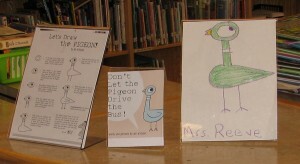 January was Mo Willems Month for my 1st and 2nd graders. 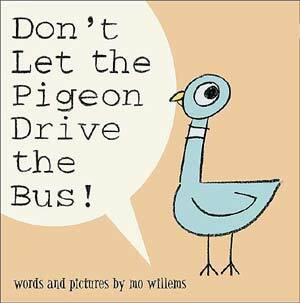 We read all the Pigeon books, then we read some Elephant and Piggy books. For our end of the month Game Days the kids all played on the Pigeon Presents site, which has some great games that they loved. I also printed out the Coloring Sheet of the Month for the kids who wanted a break from the computers. 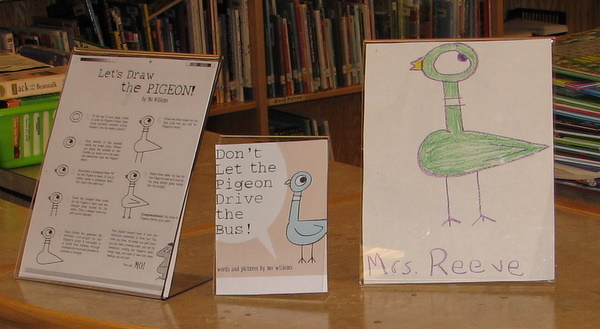 I did the “Learn to Draw the Pigeon” activity with them like I did back at the public library, and that was a HUGE hit. 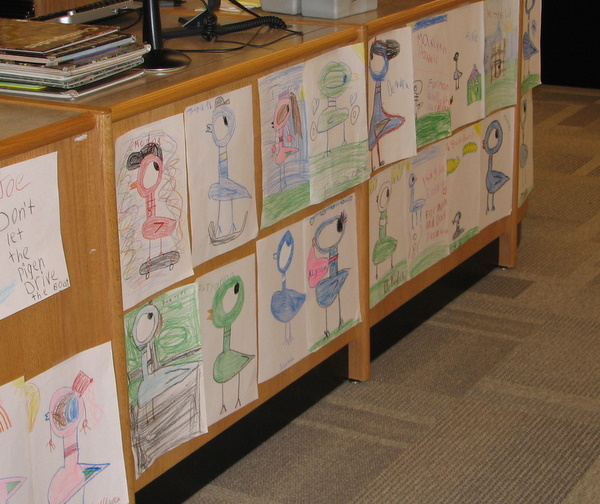 I drew a pigeon first with each class so they could see how to do it, and they took their How To sheets home with them. They made all kinds of great variations on the pigeon, as kids do. All the kids’ pictures are currently hanging in the circulation desk gallery. I put up a sample one that I drew along with the directions and a picture of the book cover for Don’t Let the Pigeon Drive the Bus! It’s been a popular display, but one of these days I need to figure out a way to hang things on that desk so they don’t stick forever but don’t get knocked down every time a student leans against it. I’ll figure it out someday.